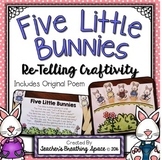 Five Little Bunnies Poem, Student Books, Puppets, and More! 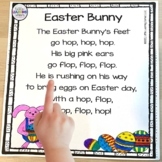 Use this Easter Bunny poem to find sight words, use decoding skills and finding rhyming words. Friends~Are you looking for a sweet story to begin your school year with? 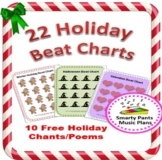 Or are you looking for a fun story to sequence? Well, Knuffle Bunny by Moe Williams is it! I love the mixture of drawings and photos in this book. Trixie and her Dad set off to run errands and end up losing Knuffle Bunny. Your students will hop from center to center with these Easter activities. 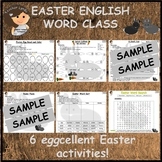 Students can put words in ABC order, do a word search, their is a long & short vowel word game & a nonsense/real word game using plastic eggs. 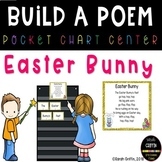 There is aloso an Easter themed game board included & Bunny poem. Here is an activity to teach young students about gravity. It incorporates Science and Math and Recording skills as well. Using bunnies and changing their design, the children can make spinning bunnies. The poem helps them remember the term gravity. 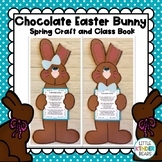 Hop over to look at this 'EGG-cellent' Easter unit! 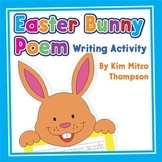 Easter NO PREP Kindergarten Language Arts Pack - Common Core Aligned! 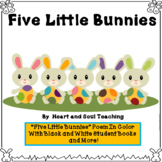 April NO PREP Kindergarten Language Arts Pack - Common Core Aligned!